So you find that no matter what you do, that a relationship will start off great, but then without fail you’re back to be single again within a matter of months. This can be frustrating, but what you need to realize this may be stemming from your own behaviors that lead to a break up. What can cause you to become a relationship ender? Let’s take a closer look. If you’re someone who shies away from even mentioning the word commitment, then you can’t even begin to think that a long term relationship will work for you. Commitment is required at least after a few months of dating, and if you’re not ready to say you love someone, then you need to find someone who has no illusions of being married or having children with you in the near future. If you’re always looking for something better, or are thinking that you’ll be trapped in a relationship that isn’t right, especially when you’re senior dating, then chances are by the time the good ole Christmas cheer rolls around, that you’ll be back on the prowl. Are you stuck on your last relationship, or grieving from the loss of a spouse? Then chances are that you’re not ready to enter a new relationship, and will be spending your holidays without a romantic companion. No one wants or needs the emotional upset that can occur when they’re dating someone who isn’t over their last relationship, especially if you’re the vocal type who needs to vocalize your feelings with the person that you’re dating. If you’re newly widowed, then you need to consider grief counseling, or some form of therapy. If not, quit the pity party routine and move on to find a better and more meaningful relationship. 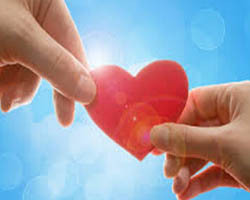 If your career, hobbies or other obligations consistently trump the importance of any romantic interests in your love life, and you project the feeling that you won’t have time for that special someone, then don’t be surprised when they break it off with you. And if you are in a high powered career with some prestige involved, don’t bring an ego trip to the dating scene. The last thing you need to do is brag and outshine a romantic interest to make them feel small and unappealing, and this can scare many types of people away. And if this sense of importance makes you feel unable to be vulnerable, you’re going to have some severe dating issues. You need to be able to feel and express emotions in a vulnerable way when in a relationship, and if you don’t, then you’re never going to be able to truly fall in love. Do you always seem to date the same kind of people – but it just never works out? Some people don’t have the ability to date, and some just have the unique ability to always date someone who isn’t right for them. If you’re someone who has a pegged type then you may be dating the wrong kind of person that is compatible for you, and you may not even know it. Being with a person who isn’t in sync with you is doomed for failure, and will ensure that you will be single in no time. Try learning something from your past mistakes, and go for a person that’s a little less your type physically, and look more for compatible elements that will sync you up in romantic bliss. If you don’t try to branch out, then expect to be single for many years to come. When you describe the person of your dreams, do you paint a picture that’s a little less than realistic? Many people idealize their wants and needs for a potential lover, and this can cause you to set standards that are too high for anyone to achieve. There are so many people out there who may not be your type who will surprise you, and you need to be open to dating different people with different walks of life in order to find someone who will complement your life, goals and all of your values. And don’t think that just because you’ve hit a certain age, or consider yourself an “old senior,” that you can just give up on finding true love! True love and companionship can occur in all stages of life, as long as you’re open and willing to work for it. Lacking the confidence and willingness to try and find love cuts you off from it completely, and this will leave you alone and lonely. No one ever plans to lose a spouse, or to find themselves single during the later stages of their life, but life circumstances that we could never foresee do occur, and these instances force us to look at our life, learn from our lessons and move on.